Venezuelan folk music lost one of its greatest legends on 10 December 2002 with the passing of Juan de los Santos Contreras, a composer, singer and arranger of traditional Joropo music, better known to his fans as El Carrao de Palmarito. El Carrao left behind 17 children, more than 40 albums of music, a movie he made in the 60s with Mexican singer Javier Solis, an award-winning documentary about his life and hundreds of trophies won in singing contests in Venezuela and Colombia. He was a true "hijo de la llanura", a son of the Llanos, the great flood plains of the Orinoco basin that extend into Colombia. He was born in 1928 in the small village of Palmarito in Apure State to a mestizo mother from the Andes and a Yaruro Indian father from the banks of the Orinoco. He would always say that his nickname was given to him by a presenter at Radio Barinas called Luis Eduardo Camejo who thought the piercing cry that he starts his songs with sounded like the mating call of the Carrao, the local name of the jacana (jacana jacana), a small wading bird endemic to the Llanos. Like many young boys in the countryside of Apure in those days, by the age of seven he was working on a cattle ranch and supporting himself. He experienced poverty and loneliness and lived the authentic lifestyle of the barefoot cowboys of the Llanos, living hard and playing hard. As he grew up he soaked up the local Joropo music and would sing along with the Conjuntos Llaneros, the traditional combo of harp, cuatro (small four-stringed guitar) and maracas. He could also invent verses on the spot and was a master of contrapunteo, the rap-style competitions between two singers who use their verbal skills and mental agility to try and outdo each other. 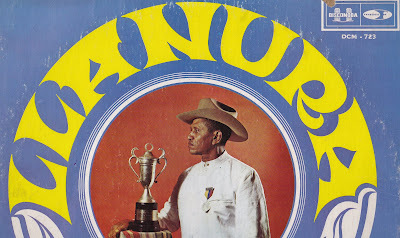 His greatest hits include the driving golpe "Furia" ("Fury") and "Florentino y el Diablo" ("Florentino and the Devil") about a cowboy who meets and defeats the devil in a singing contest by inventing the most verses. The song was based on a poem by the Barinas poet Alberto Arvelo Torrealba and featured Jose Romero Bello as Florentino and El Carrao as the Devil. Joropo singers are generally divided into two camps: romantico , such as Simon Diaz and the harpist Juan Vicente Torrealba, and recio , such as Luiz Lozado "El Cubiro". 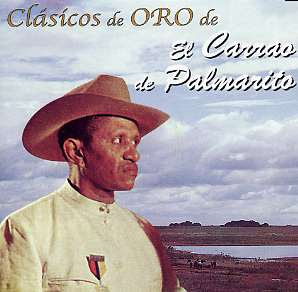 El Carrao de Palmarito was definitely recio, with an extraordinary powerful voice that he never lost even in old age. He even went across the border to take on the Colombian Llaneros in open singing contests and twice he defeated the best of the best. 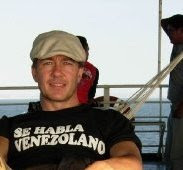 In 1998 he received the National Prize for Popular Culture, Venezuela's highest award. Simon Diaz said of him: "This man was one of the most important singers that the Venezuelan Llanos has ever seen. For a regular singer like myself it was an immense honour to share the stage with him in the concerts that we did together." "Venezuela cried a lot when the news came out of his death, especially the people of the Llanos," said Diaz. "He was the same age as me, we were both born in 1928. He has gone ahead of me but I'm sure that when my time comes he'll be up there singing with God to welcome me."